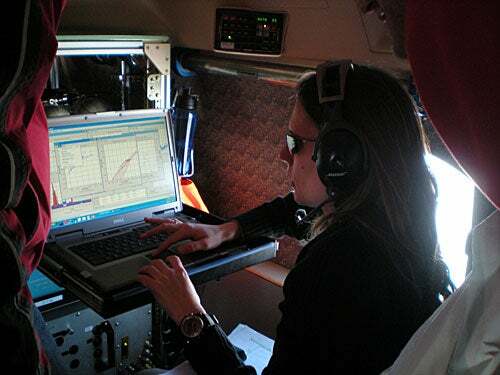 Jasna Pittman expected to be surprised by new findings as she traveled around the world measuring gases and particles in a three-year effort to understand how the atmosphere works. She didn’t expect to be shocked by what she already knew. It has long been known that pollution is blown into Alaska’s skies from Europe and Asia, but Pittman and other scientists who participated in a three-year project to gather data on the Earth’s atmosphere said their prior knowledge didn’t lessen the impact of seeing the pollution firsthand. 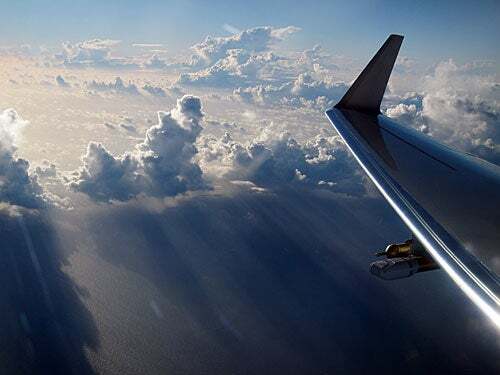 Wofsy’s team, which included Pittman, engineer Bruce Daube, postdoctoral fellow Eric Kort, and graduate student Gregory Santoni, conducted five globe-spanning flights in a small jet crammed with high-tech instruments. 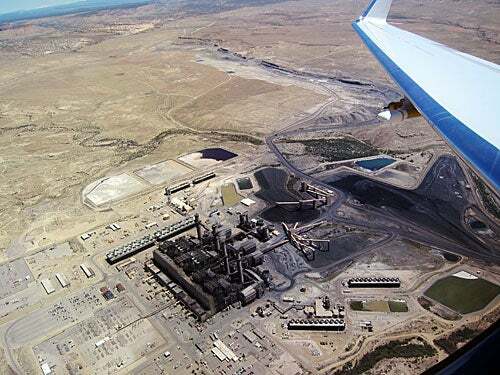 Along the way, they measured gases and particles from pole to pole on roller-coaster flights that rose from just above sea level to 48,000 feet. Their project, called HIPPO, which stands for HIAPER Pole-to-Pole Observations, was run under the auspices of the National Center for Atmospheric Research and included scientists from the University of Miami, Princeton University, the National Oceanic and Atmospheric Administration, and Scripps Institution of Oceanography. Wofsy described the project as something of a dream come true. 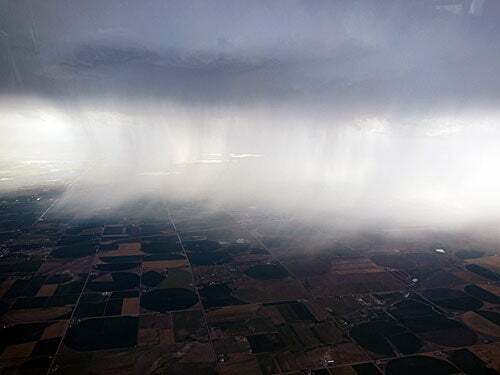 Although scientists routinely measure the atmosphere’s composition from ground-based stations and peek at it from orbiting satellites, they have to infer from those measurements what is going on high in the atmosphere. The last time a similar atmospheric sampling operation was conducted was in 1977 and 1978, Wofsy said. With the climate change crisis prompting government action to fight global warming, the computer models on which climate predictions rely need data like this to ensure their accuracy. HIPPO scientists measured 80 chemicals, including the greenhouse gases carbon dioxide, methane, and nitrous oxide, as well as the byproducts of industrial burning, carbon monoxide and particles of black carbon. The latter two were present in surprisingly high levels far from human habitation over the Arctic. HIPPO scientists flew in a converted Gulfstream V, stuffed with instruments and owned by the National Science Foundation. Though most of the instrument setup and data download occurred before and after the flight, Kort and Santoni were called on to repair malfunctioning equipment in midflight to avoid missing key data. The five HIPPO flight series had a different mix of personnel from Wofsy’s group and those of other scientists involved. 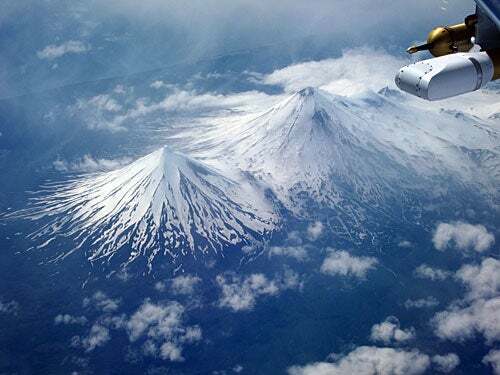 Each series of flights took off from the plane’s home base in Colorado, flew up to Alaska, and over the top of the world. It traversed the Pacific to a turnaround in New Zealand before taking a different path back. 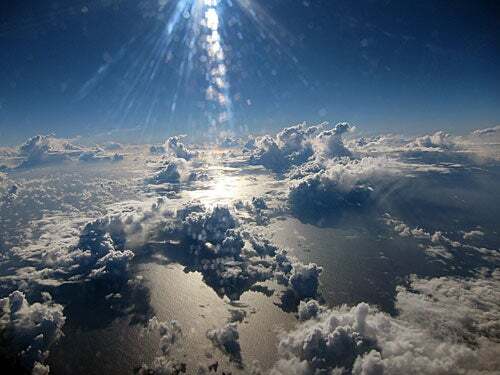 The three-week flights were timed so that samples were taken during different seasons to give scientists information on how the atmosphere changes as the Earth cycles through its annual rhythms. 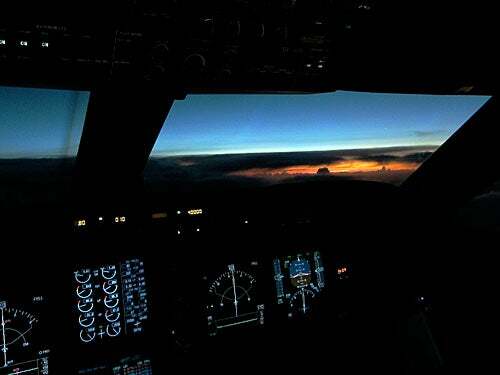 In between preparing for each day’s flying and handling the enormous amount of data generated afterward, researchers witnessed the Earth’s moods, watching sunsets and moonrises, sunny skies and storms, manmade pollution and even the occasional rainbow — all ample reward for the epic jet lag that came with the territory. At times, nature provided a dramatic show of the physical effects they were studying. 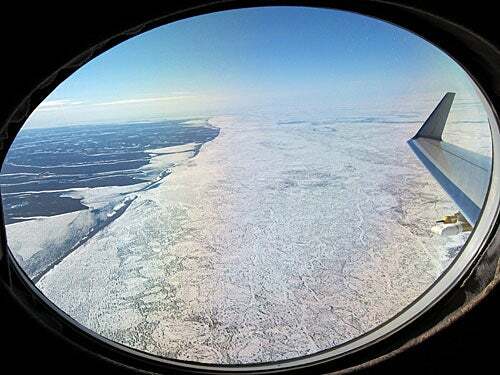 Wofsy recalled one flight over the Beaufort Sea, which was clear of ice. The researchers flew near a robotic boat that was recording water temperatures warm enough that steam was flowing into the cold air. The last flight landed in September, and research groups are already inquiring about the data: 40 measurements every second, combined with aircraft information such as location, altitude, and outside air temperature. Several aspects stood out to Wofsy even as the raw numbers were arriving. 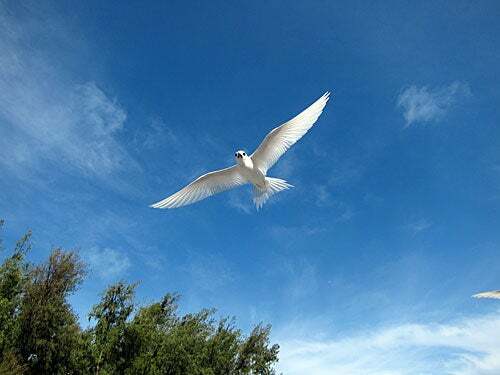 The data raised questions about the Southern Ocean’s ability to remove and store atmospheric carbon and also showed the presence of large amounts of nitrous oxide — a potent greenhouse gas — in the air above the tropics. 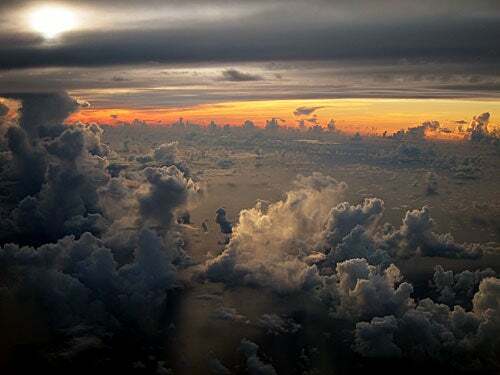 That indicates not only that there are more greenhouse gases there than expected, but also that scientists don’t really understand how the tropical atmosphere works. Another finding involves the release of methane as the Arctic warms. Scientists have been concerned that the region’s frozen ground, called permafrost, will melt with higher temperatures and release methane when previously frozen organic material decomposes. Methane, like carbon dioxide, is a greenhouse gas, so significant releases will exacerbate the globe’s warming. The project measured that theorized methane emission, but Wofsy said the source was not always the permafrost. Instead, flights detected significant emissions from the ice-free Arctic Ocean. While the emissions’ source remains unclear — both surface waters and sediments are suspect — what is known is that current models don’t account for these emissions.